Standard-size page flags allow you to color-code files and documents for different projects and people. Removable adhesive on clear portion. Eye-catching color extends past the edge of the page to be seen easily. 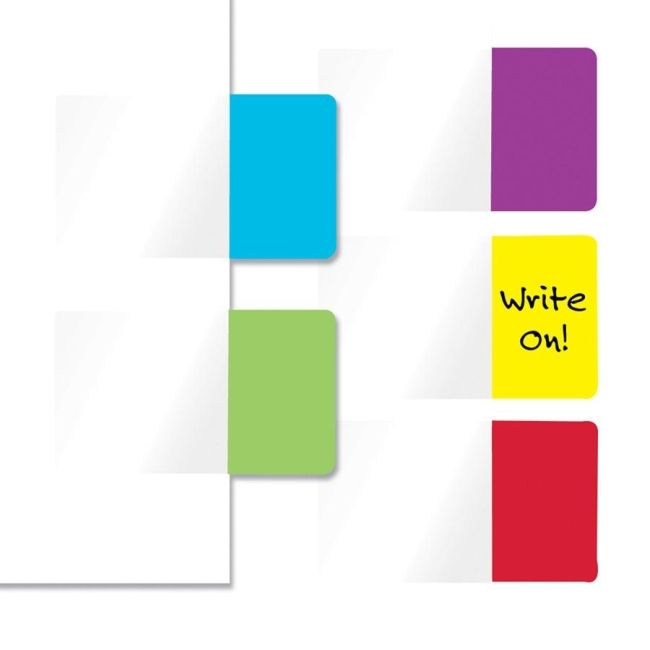 Remove and reposition without leaving a mark on the page. Write directly on colored area of the flag with ballpoint pen, pencil or permanent marker.